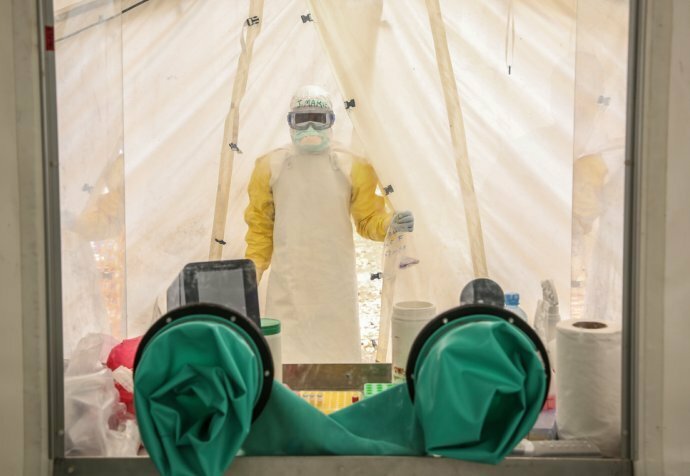 As part of a team responding to an outbreak of Ebola, Dr Saschveen Singh, a general practitioner from Perth, Western Australia, shares a story of hope. I’ve made it through my first week in the Democratic Republic of Congo, remaining cool, calm, collected, riding this rollercoaster on a steep learning curve and in a bizarre working environment. Yesterday was tough… sadly we lost a very kind young man despite the incredible care our team provided, but thankfully some wonderful news today with one of our patients being cured – cause for celebration indeed! "Spread through direct contact with people who are unwell with the disease, Ebola preys on local healthcare workers, caregivers and loved ones"
Spread through direct contact with people who are unwell with the disease, Ebola preys on local healthcare workers, caregivers and loved ones, as it is ‘transmitted through behaviours that represent the best in human nature: caring for the sick, showing reverence for the dead and showing affection’ (E. Smout, Communicating in a crisis like Ebola: Facts and figures, 2015). Most of the confirmed cases in our unit so far have been local nurses who fell ill through their care of patients who didn’t know they were infected. There’s an incredible network of dedicated people on the ground here trying to reduce the community impact and the devastation this tragic disease brings on innocent families. The first patient who was discharged as cured from our unit was Mwamini. The literal translation of her name is “faith”. With her consent, I share with you this incredible moment from a few weeks ago. This has touched my heart forever: she had just found out that she no longer had Ebola DNA in her bloodstream and was told she was safe to be discharged from the treatment centre. When she heard the news, Mwamini broke into song and dance. Our hardworking team and two fellow patients joined in to celebrate this most joyous news! Even better, the two other patients have also since been healed! Mwamini is now an essential part of our team working in our Ebola treatment centre as a carer, supporting families that have a child being treated inside the isolation zone. She is an incredible inspiration to our whole team and has continued my faith in humanity.